Tourism Fair Bucharest – TTR – is one of the most important tourism fairs in Romania. 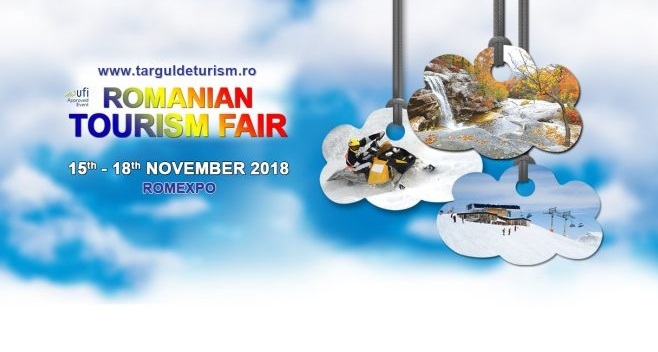 The autumn edition of the Romanian Tourism Fair will be held between 15th – 18th of November 2018, Bucharest, Romexpo exhibition Center, Pavilion B2. 15th – 17th of November 2018, between 10:00 a.m. and 6:00 p.m.
18th of November 2018, between 10:00 a.m. and 4:00 p.m.
Why exhibit at Romanian Tourism Fair 2018 Bucharest? The most important companies in Romania and abroad in the tourism sector meets under the same roof at Romania’s Tourism Fair, organized by Romexpo twice a year, each edition transforming Exhibition Centre in a space of dream destinations. As exhibitor, you will also have the opportunity to meet new business partners, and also to strengthen the existing relationships with your traditional partners. Looking to exhibit in Bucharest?